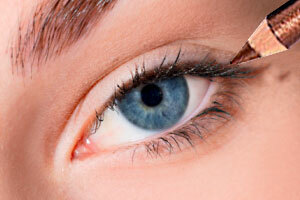 Makeup tips & expert advice, for woman. Beauty information, makeover techniques on celebrity actresses, women of color from, television shows & movies. Trends in cosmetics, skincare, fashion, style. Fabulous line of gothic makeup. Beautiful makeup reviews from people like you! Search and post cosmetic, skin care, hair care, and nail care reviews. How-to guide to make-up and costumes, special effects for looking like the grim reaper, vampire, ghost, skeleton. Online gallery featuring the work of movie and TV makeup artists. Transformations from actress into character are illustrated with before and after shots plus behind the scenes shots of the make-up process. Makeup for studio and stage, educational theater, halloween, costume parties. Purchase online or find dealers. Perfumes reprsenting the essence of the South Pacific in beautiful wooden pots - The perfect gift or souvenir. Savor the fragrances of Hawaii. Provides articles on skin care information, sun care, sun tan lotions, make up application, beauty tools, healthy eating and vitamins. Product reviews are also included. Makeup and special effects for motion pictures, television, and sports.